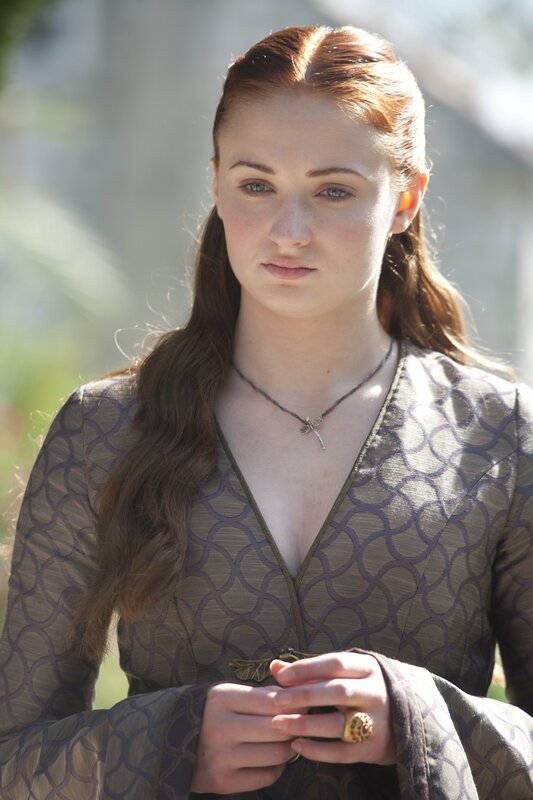 Sansa Stark. . HD Wallpaper and background images in the Sansa Stark club tagged: game of thrones season 3 sophie turner sansa stark little bird. This Sansa Stark photo might contain oberbekleidung, überkleidung, overclothes, overgarment, oberbekleidung, gewand, gut gekleidete person, anzug, hosenanzug, and pantsuit.